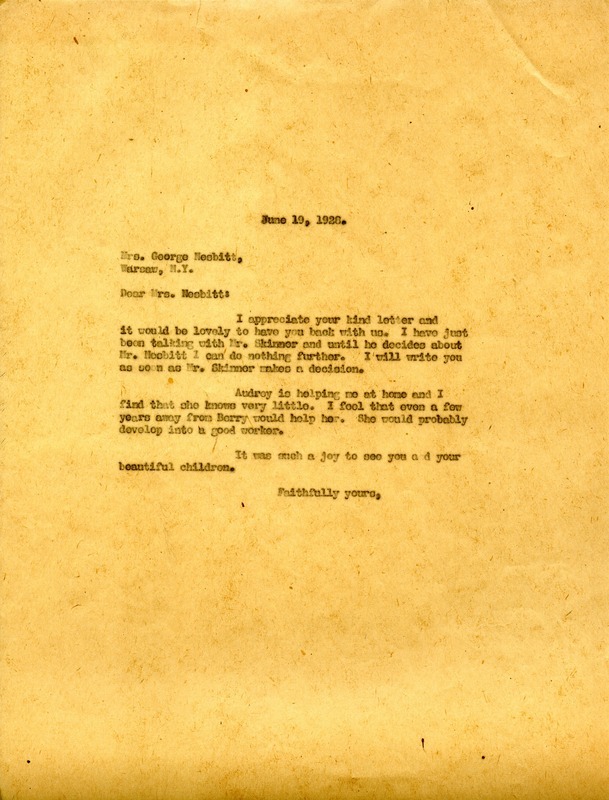 Letter in response to a letter from Mrs. Nesbitt which states that Martha Berry would be happy for them to be back. Martha Berry writes that Audroy, who is helping her out at home, would benefit being away from Berry for a few years. Mrs. George Nesbitt, “Letter to Mrs. George Nesbitt from Martha Berry.” Martha Berry Digital Archive. Eds. Schlitz, Stephanie A., Sarah Milway, et al. Mount Berry: Berry College, 2012. accessed April 20, 2019, https://mbda.berry.edu/items/show/8546.